Heather Small is the former singer with M People. As part of M People, hits such as 'Moving On Up', 'One Night In Heaven' and 'Search For The Hero' and albums like Elegant Slumming, Bizarre Fruit and Fresco achieved massive worldwide success. Heather became one of the great British voices of the 1990s, with the band winning the Best British Dance Act Award at the Brits in 1994 and 1995, as well as the Mercury Music Prize for Elegant Slumming. Since leaving M People, Heather Small has had great successes with two solo albums. The title track of her 'Proud' album has gone on to become the soundtrack to a whole host of special events including London's successful 2012 Olympic bid. Other credits include as well as the 60th anniversary of VE Day in Trafalgar Square, the launch of Queen Mary 2, the Tsunami Relief Concert, England's victory at the Rugby World Cup celebrations, and the official ceremony marking the handover of the Olympic Games from Beijing to London. 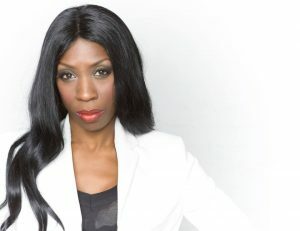 Heather Small has continued her TV work with regular slots on music, entertainment, and politics shows, including 'Dancing On Wheels', a wheelchair dancing competition-come-documentary airing on BBC3. Heather also teamed up with singing sensations Anastacia and Lulu for the critically acclaimed 'Here Come The Girls' – an unforgettable night of feel-good party music and dance, touring arenas across the UK and Ireland.